I travel a lot for work from Hyderabad in buses and have travelled with almost all bus services. 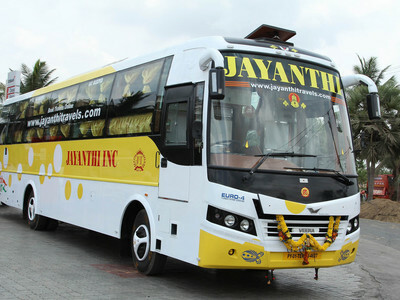 Since my first ride with the Jayanthi Tours & Travels I have been their regular customer. The reason is their luxurious buses and their reasonable rates. I was travelling with Jayanthi Tours & Travels from Komaragiri with my 1 year old daughter. The staff was very helpful and showed special attention towards the well-being of my toddler. I would like to thank Jayanthi Tours & Travels for their courteous attitude. 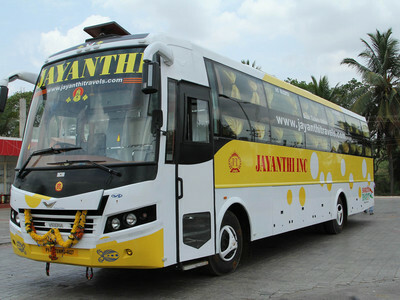 I had booked tickets for me and my grandparents with Jayanthi Tours & Travels from Anathavaram. The travel experience was great, my grandparents were not fatigued and they also helped us reach on-time. 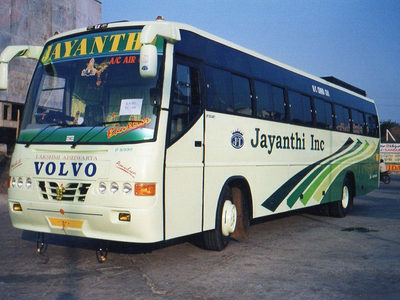 I recently travelled from Tanuku with Jayanthi Tours & Travels. It was a sleeper bus and I felt the bus was very comfortable and the staff was very friendly and co-operative. Great going Jayanthi Tours & Travels keep it up.